posted by Billie Owens in batavia, news, VA WNY Healthcare System, VA Voluntary Service, Announcements. 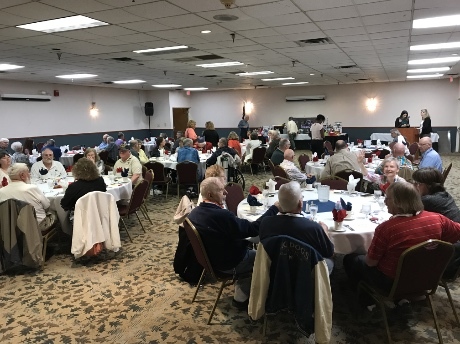 A luncheon was held today at the Quality Inn in Batavia for VA Voluntary Service volunteers to recognize their many hours of volunteer service to veterans at VA WNY Heatlhcare System. Irvin Bratz, in photo above, is pictured with Danielle Bergman, interim associate director for VA WNYHS. Bartz was specifically recognized for his 7,500 hours of volunteer service. 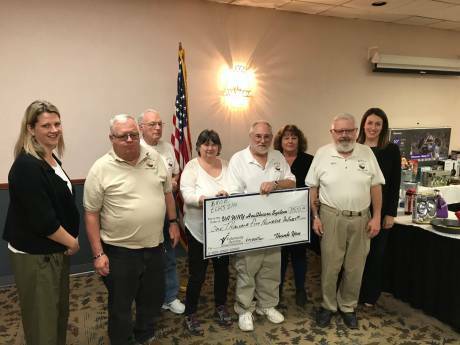 Below, members of the Brockport Elks Lodge provided a donation to VA Voluntary Service in the amount of $1,500. Below, the luncheon was well attended. 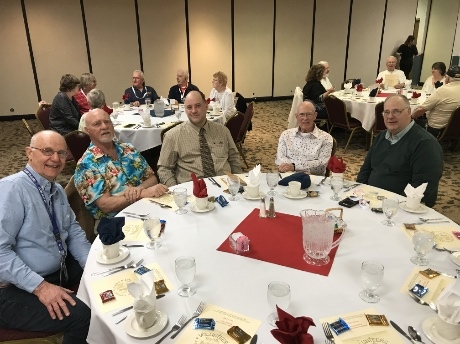 Below, VA Chaplain Brian Stuttler with VA volunteers. 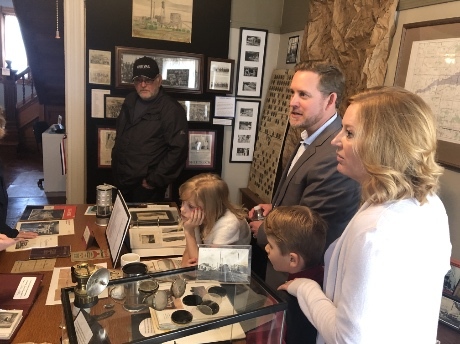 posted by Billie Owens in HPC, City of Batavia Historic Preservation Commission, news, Announcements. The City of Batavia Historic Preservation Commission (HPC) needs to fill two vacancies and is looking for a few good architects (we really need those! ), historic district residents (and these! ), historians, or volunteers who have significant interest in the commitment to historic preservation. If this sounds like you, and you are a City resident, submit your application today! The HPC works toward the protection, enhancement, and perpetuation of landmarks and historic districts in the City of Batavia. For about an hour a month you can help preserve our historic community. Volunteer today to see the difference you can make! Applications are available at the City Clerk’s office or online at www.batavianewyork.com in the documents section of the Citizen Action Center. Alexander United Methodist Church Kids Art Studio has debut exhibit now on display at GO ART! posted by Billie Owens in news, alexander, GO ART!, kids art studio, AUMC, Announcements. 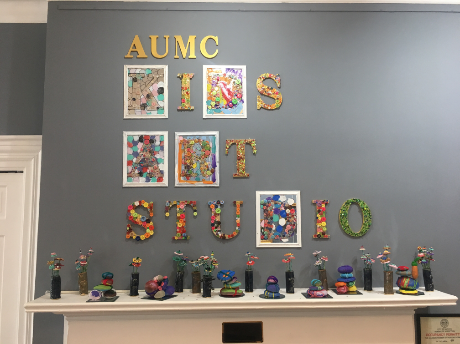 Alexander United Methodist Church (AUMC) Kids Art Studio presents their first exhibit on display now at GO ART! through May 4. There will be an artist reception from 5:30 to 7 p.m. on Tuesday, April 23. Thursday & Friday -- 11 a.m. - 7 p.m.
Saturday -- 11 a.m. - 4 p.m.
GO ART! 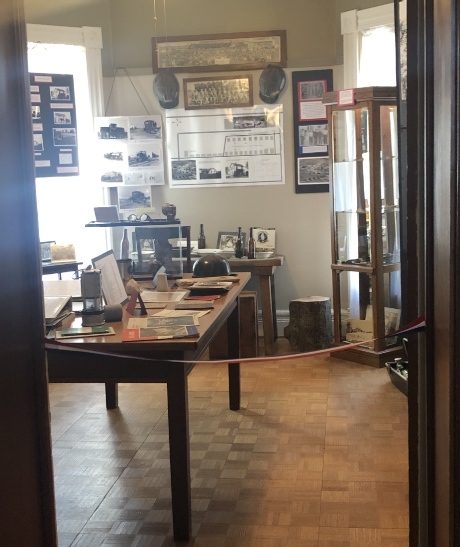 is located in the historic Seymour Place building in Downtown Batavia at 201 E. Main St.
posted by Billie Owens in genesee county legislature, news, Announcements. (1) Genesee County shall conduct a public hearing on fair housing practices and to identify any concerns and issues with fair housing practices in Genesee County. The public hearing will be held at the Old Courthouse, 7 Main St., Batavia, at 5:30 p.m., April 10. All persons who wish to speak will be heard. Written comments will be accepted upon delivery to: Clerk, Genesee County Legislature, 7 Main St., Batavia, NY 14020 prior to the hearing. The hearing location is in compliance with accessibility standards under the Americans with Disabilities Act. (2) There has been introduced before the Legislature of the County of Genesee, a Local Law Introductory No. Two, Year 2019, which regulates the transfer of secondhand articles. The Genesee County Legislature will conduct a Public Hearing on the proposed law at the Old Courthouse, 7 Main St., Batavia, at 5:30 p.m. on April 10. All interested persons will be heard. (3) A public hearing will be held at 4:30 p.m. on April 11 at the Old Courthouse, 7 Main St., Batavia, to discuss the implementation of the HP Hood LLC Project that received Community Development Block funding from the New York State Office of Community Renewal (Project No. 444ED893-17). The purpose of the hearing is to obtain citizen views regarding any aspect of the project’s implementation including, but not limited to any construction, financing, and employment opportunities resulting from the project. The hearing facilities are handicapped accessible. Written comments are invited and will be accepted upon delivery to the courthouse address above. The hearing location is in compliance with accessibility standards under the Americans with Disabilities Act. posted by Billie Owens in Law Street Yard Waste Station, batavia, news, Announcements. The Law Street Yard Waste Station will open for the season on Monday, April 1st, for City residents. The station will be open from noon to 6 p.m., Monday through Saturday until November when open hours change to 11 a.m. to 5 p.m. The station will also be closed on May 27th -- Memorial Day, July 4th -- Independence Day, Sept. 2nd -- Labor Day, and Nov. 28th -- Thanksgiving. The station will close for the season in early December. City residents may bring yard waste material (grass, leaves and limbs) to the Law Street Yard Waste Station as there is no spring curbside pickup of these materials. The following items cannot be accepted at the station: tree stumps, building materials, rock, fill (soil and stone) other debris. Yard waste shall be free of trash (paper, plastic, bottles, cans...etc. ), as this material cannot be processed. posted by Billie Owens in news, Announcements, Earth Day, DeWitt Recreation Area, wildlife. Earth Day is your chance to give back to your community and take care of the Earth! Join us at DeWitt Recreation Area in Batavia for the 19th annual Earth Day Celebration and help with park cleanup from 10 a.m. to 2 p.m. on Saturday, April 20. Let's celebrate Earth Day early (it's actually Monday, April 22) and help keep the park beautiful and the habitat safe and healthy for wildlife. Leanr to make cool things from recycled materials and enjoy a naturalist-guided hike to discover the natural wonders in the park. Enjot wild ganes, free fun and more. Service groups, students, 4-H'ers and Scouts can earn community service hours and meet badge requirements. Don't miss a special presentation by theBuffalo Zoomobile from 2 to 3 p.m., weather permitting! 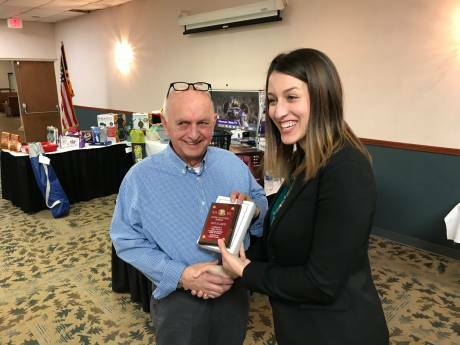 Special thanks to the Genesee Finger Lakes Cahpter of the Air & Waste Management Association for their generous support of this Earth Day celebration. Meet at Pavilion 2 for all activities. DeWitt Recreation Area is located at 115 Cedar St. in the City of Batavia. This event and all activities are free and open to all. Please preregister for activities by calling (585) 344-1122. 2 to 3 p.m. (weather permitting) -- Special Guest: World Safari by the Buffalo Zoomobile -- Meet fascinating animals from all different places on planet Earth! posted by Billie Owens in Genesee Chorale, music, spring concert, voices of the earth, news, Announcements. The April 5 concert begins at 7 p.m. at Pavilion High School, 7014 Big Tree Road, Pavilion. The April 7 concert begins at 4 p.m. at St. James Episcopal Church, 405 E. Main St., Batavia., and will have the added feature of a display of art work by area students created in connection with GO ART! In a time of concern about climate change the future of our planet, “Voices of the Earth” was a theme that came easily to Ric Jones, who directs the 70-member Chorale. “As a lover of nature and spending time outdoors, I am always drawn to themes of nature in music,” he said. “As I was researching music, I found myself selecting music with themes of nature, and music that centered around beautiful poetry. He looked for music that would challenge singers, and that would be both enjoyable and inspiring for singers and audience. Several of the selections are taken from poetry. For example, “There Will Come Soft Rains” and “The Cloud” are poems by Sara Teasdale, and “The Peace of Wild Things” is a poem by Wendell Berry. “I think the audience will really enjoy some of the nontraditional things we are doing with the choir,” Jones said. “Bird calls, sounds of water, etc. I also think they will really enjoy our special guest musicians, Bob Holley on bongos and Fran Woodworth on flute. The bongos help give 'Gently (Walk on the Earth)' a pop/world beat feel." Tickets are $10 each. They may be purchased via credit card or PayPal through Chorale’s website box office, www.GeneseeChorale.com. They are available as “will call,” or from Chorale members, or at the door. Further information is available on Chorale’s website. 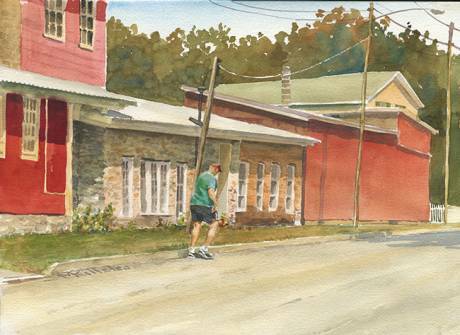 posted by Billie Owens in batavia society of artists, en plain air, news, Announcements, demo. Killelea is going to demonstrate how at add a figure or animal in a completed watercolor painting to add interest and help the composition. Non-members welcome for a $5 fee. "Painting en plein air has some obvious drawbacks. One problem is that compositional flaws sometimes aren't clear until some time has passed. Since landscapes or buildings rarely move they make great still life subjects. "But they can sometimes seem a bit lifeless, so adding some live thing often makes sense. I try to keep the “add life” idea in mind as I paint, even if I don’t incorporate it as I paint. I do that by adding an animated figure of some kind, even after the painting is done. "I look for a place to add that figure in the composition like birds, animals or people. In watercolor that might mean scrubbing out a particular area to add a figure, or adding a darker figure into a light area.Obviously the figure can be positioned anywhere for maximum impact, and that’s what I’ll demonstrate." He is an artist, author, teacher and traveler whose "exquisite watercolors" from a trip to China were featured in American Artist's "Watercolor" magazine. This Long Island native currently lives among the cows, cornfields and farms of Western New York where he divides his time between painting, teaching and lecturing. But he paints anywhere and everywhere, at home and around the world. Killelea is a signature member, on the Board of Directors, and Secretary to the American Society of Marine Artists (ASMA). 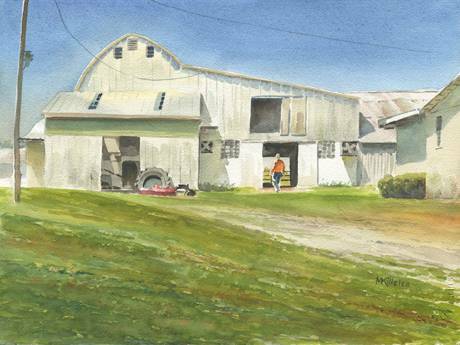 He’s also a signature member as well as program chairman for the Niagara Frontier Watercolor Society, and is a signature member of the Buffalo Society of Artists. He paints weekly with the All Weather Gang in Genesee County. Killelea is a graduate of SUNY Farmingdale and has attended Pratt Institute and the School of Visual Arts. His artwork is in numerous private collections and is featured in two books he wrote and illustrated about Long Island's rural North Fork. Killelea's work and biography have been included in the Smithsonian Institution's Library for the American Art Museum/National Portrait Gallery and have become the basis for a permanent file on him there. posted by Billie Owens in news, St. Jerome Guild, Step Into Spring, fashion show, charity, Announcements. The St. Jerome Guild will host the annual “Step into Spring” fashion show, basket raffle, with a luncheon prepared by Michael Tomaszewski, on Sunday, May 5. The Guild and Genesee Community College will host "Fashion Show Weekend" with Genesee’s annual fashion show, “Limitless” scheduled on Saturday, May 4. The Guild is excited to highlight several clothing stores in Batavia: JCPenney, Kohl’s, and Marshalls. More than 20 models will feature the Jerome Jewelry Collection and fashions for toddlers, teens, women, men and seniors. The event will be held at noon at Father Slomba Hall, 19 Sumner St., Batavia. Presale only tickets are available for $20 at the Jerome Center Gift Shop, 16 Bank St., Batavia. For more information call 585.343.6030, ext. 4198. The Guild continues to support UMMC/Rochester Regional Healthcare as a corporate donor giving thousands of dollars to capital fundraising initiatives over the years and has contributed countless volunteer hours on a variety of fundraising events. The proceeds in the amount of $5,000 from last year’s fashion show purchased four natal bassinets. The Guild has offered an annual Health Career Professional Scholarship to hospital employees and high school seniors for decades. Currently, the scholarship is being awarded to outstanding employees who are continuing their education in the medical field. The Guild’s volunteerism has served the medical community for more than 100 years. In years past, the Guild sponsored fundraisers for St. Jerome Hospital, such as, casino nights, formal dances, fashion shows, and Mother’s Day breakfasts to name a few. posted by Billie Owens in news, elba, Announcements, meat raffle, elba sports boosters. Elba Sports Boosters will hold a Meat Raffle on Saturday, March 30, at Elba Firemen's Rec Hall. It is located at 7143 Oak Orchard Road, Elba. Doors open at 5 p.m. and first pull is at 6 p.m.
$10 per person donation to attend, or reserve a table for eight for $70. Price includes beer, soda pop, wine and a door prize raffle ticket. There will also be a Freezer Full of Meat Raffle, a Wheelbarrow of Booze Raffle, and a 50/50 Raffle. "Grab your family and friends, bring snacks, a cooler for your winnings, and plenty of $1 bills!" For tickets, contact any Boosters member. For advance table reservation or more information, call Lea Ann Hall at (585) 409-1312.
posted by Billie Owens in classical arts, ballet, opera, Announcements. Applications are due Friday, April 12, 2019, and are available here. For more information on the Oliver G. & Sarah Sloan Bauman Fund for the Arts grant process, please visit here.